My name is Raghu Rai. I have been honored by you in 2012 as friends of Bangladesh Liberation War who photographed the Bangladesh war for freedom by Mukti Bahini supported by your neighbors and friends to transform east Pakistan into an independent nation today known as Bangladesh. 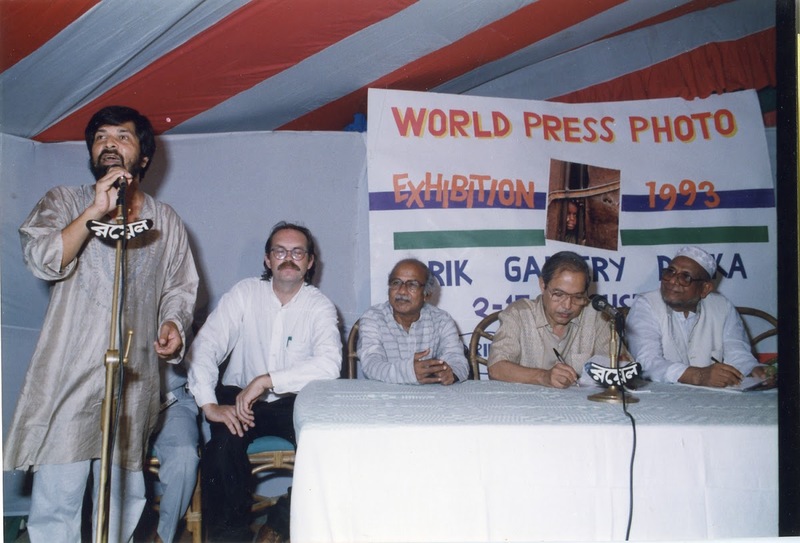 Bangladesh is a country of poets, writers, musicians and some of them migrated to India during the partition. Our bond is deep not only culturally but spiritually as well. 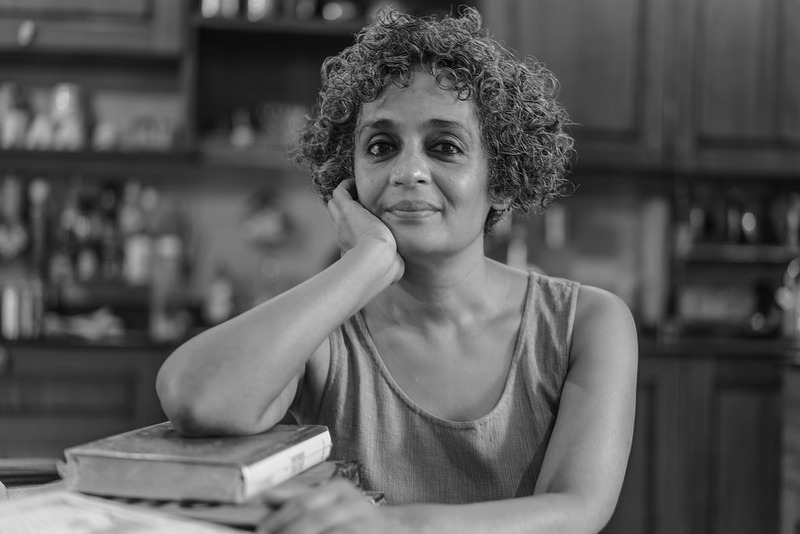 Madam Prime minister, you are the daughter of great revolutionary Sheikh Mujibur Rehman who rose against the repressive and torturous regime of Pakistani generals—and in return the generals decided to teach Bangladeshis a lesson. Thus the nation rose against Pakistan under the leadership of Sheikh Sahib and this is how Bangladesh came into being. So let’s not teach our boys a lesson. Note from Shahidul: I am out on bail, but the case against me stands and I potentially face a sentence of up to fourteen years if convicted. We now need to campaign to drop the charges. 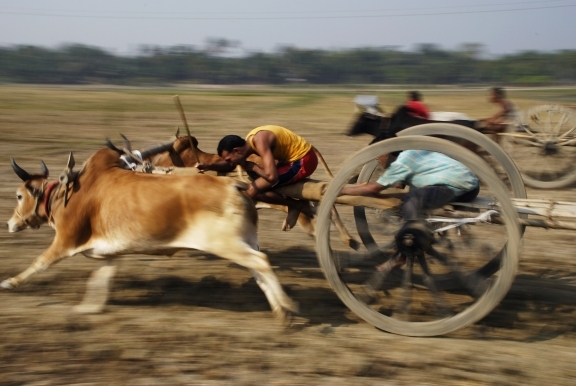 Author ShahidulPosted on January 3, 2019 January 3, 2019 Categories Arts, Bangladesh, culture, Democracy, Elections, Human rights, Law, Photography, politics, Shahidul Alam, South AsiaTags Bangladesh, censorship, corruption, democracy, Elections, Law, mediaLeave a comment on Free Shahidul! PEN International welcomes the news that Shahidul Alam was granted bail today. PEN continues to call for the case against Alam to be dropped. 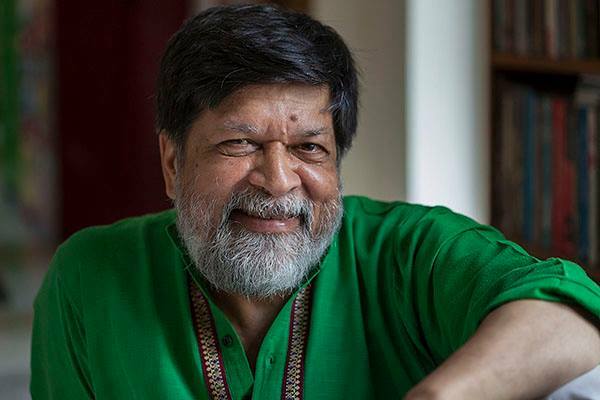 “While it is a relief to see the court in Dhaka granting bail to Shahidul Alam, it is by no means certain that he is free. 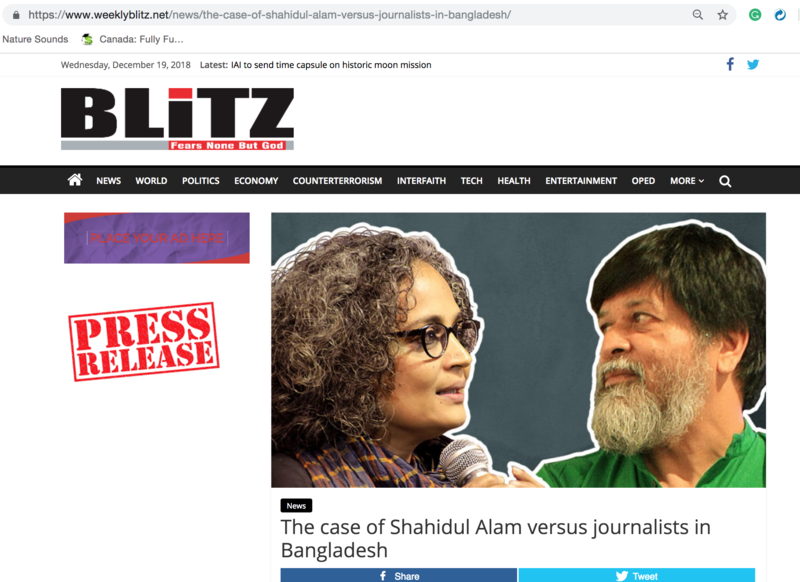 The government is still determined to appeal in its ill-conceived pursuit of Shahidul on ridiculous charges under Bangladesh’s draconian laws. 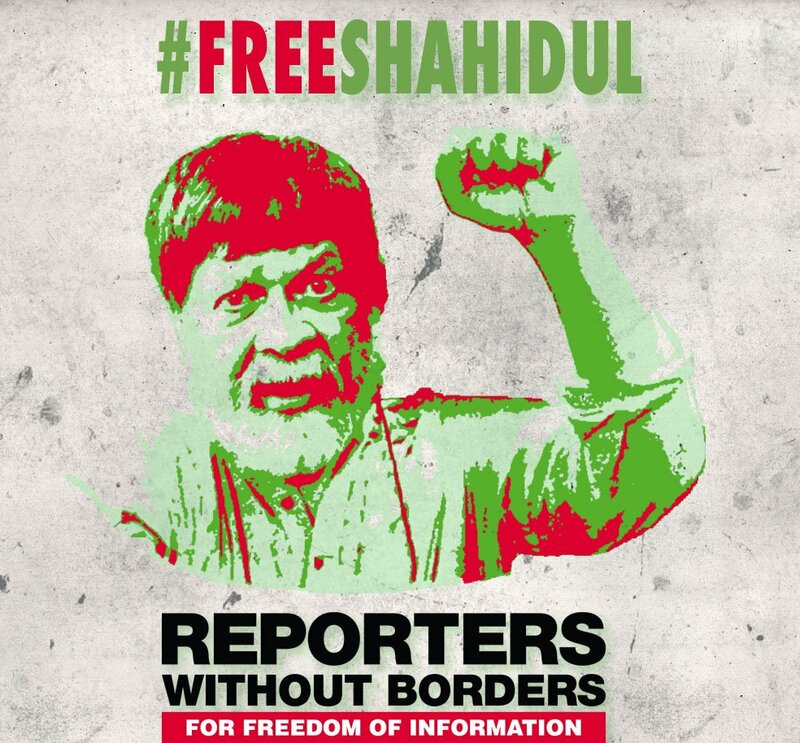 Those charges must be dropped immediately and Shahidul should be released unconditionally and his freedoms restored – freedoms which should never have been taken away,” said Salil Tripathi, Chair of PEN’s Writers in Prison Committee. It’s been more than a hundred days now since they took you away. Times aren’t easy in your country or in mine, so when we first heard that unknown men had abducted you from your home, of course we feared the worst. Were you going to be “encountered” (our word in India for extra-judicial murder by security forces) or killed by “non-state actors”? Would your body be found in an alley, or floating in some shallow pond on the outskirts of Dhaka? When your arrest was announced and you surfaced alive in a police station, our first reaction was one of sheer joy. Who is this man whose arrest has sparked outrage and condemnation from global bodies and media, including Amnesty International, Committee to Protect Journalists (CPJ), PEN International, SAMDEN (South Asia Media Defenders Network) and publications such as the Guardian, The Washington Post and many South Asian media? It was in the early nineties. 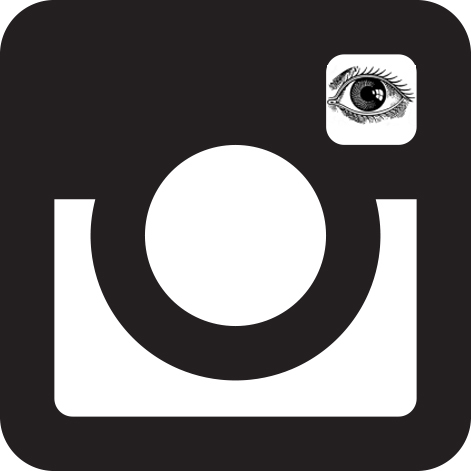 Having decided we would create a platform for local photographers, it made no sense to set up our agency in the conventional marketplaces of London, Paris or New York. We had to be where the storytellers were, here in Dhaka. But we also needed to be connected with our buyers. International phone lines were difficult to get, and the calls were expensive. Sending photos by courier was clumsy, slow and prohibitively costly. Alternatives needed to be found. The judging of World Press Photo in Amsterdam provided an opportunity to link up with TOOL, an NGO in the Netherlands that specialized in providing appropriate technology in Majority World countries. 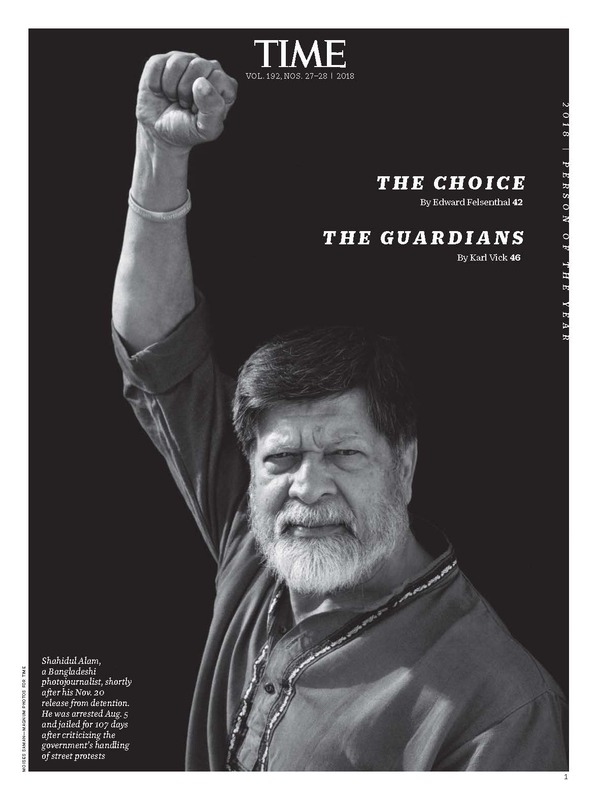 On the night of 5 August, a couple of dozen men turned up at the photographer Shahidul Alam’s house in Dhaka. They dragged him from his apartment, bound and screaming, smashing surveillance cameras on the way out. Alam’s partner, Rahnuma Ahmed, was with a neighbour, so she could not react in time. By the time anyone fully realised what was going on, Alam had been thrown into a white van and driven off into the night’s darkness.